You work hard to make your business successful; why not let a focused automotive website design team do some of the work for you? Whether you are a small repair shop or a national manufacturer, your online image is important. Redhead Labs is an industry leader in automotive website design and development, with experience working with a variety of automotive companies. From tire sales to UTV and bike manufacturers, we can build a site to fit YOUR automotive web design needs. Year/Make/Model development to help your customers find the product that they are searching for will with ease. We focus on clear and concise navigation and custom tools to best fit your product line, plus API integrations with massive data feeds. Do you supply parts to a unique category like golf cart parts? Look no further we know your industry and can build you a site that converts browsers into buyers. We have worked with after-market parts for all types industries including UTV and ATV. Design that captivates your buyers and presents your product in the best way possible starts with Redhead Labs. Customizable products that capture your unique audience. Utilizing apps that focus on client retention with a platform that delivers on customer management. Pull in your customers and keep them coming back. Let us build you a custom automotive website design that highlights your products on a sleek, professional platform. Our team can engage your customer base with an intuitive layout and well organized navigation that showcases your inventory. We can maximize targeted consumer traffic to your site with “behind the scenes” search engine optimization. We can also improve your site’s visibility with tested and proven internet marketing techniques. 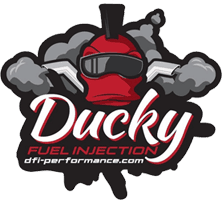 We have had the pleasure of providing our automotive web design services to several auto industy clients, including Ducky Fuel Injection. We provided them with a straightforward auto-focused web design to highlight their specialty products. We put style into a custom design for Cart Parts, and created a high quality, fully decked out site. Working with these and other clients has provided us with diverse industry experience that we will put to work for your site. Redhead Labs has worked with many automotive related industries. We will provide a custom, automotive website design that will give a great first impression to your online customers, provide a seamless shopping experience, and keep shoppers coming back! When customers shop online they focus on a lot more than just your products. They pay attention to the way you as a company present yourself, including the design of your website, images, and user experience. Its important that you take time, and invest, to display your business as a trust worthy and professional company. A custom designed and developed automotive website that embodies your brand is the first step. Redhead Labs is the top choice for any automotive industry website. Redhead Labs offers a variety of custom website design packages to make sure you get the perfect site for your company. The automotive industry is growing daily, and its important to keep up with your competition.